Over the last month or so we have been getting rid off all the bulky toys, including things like the baby walker / activity table just all the big bits that help her start standing up and walk. At almost 18 months it was time to have a good old clear out selling on things we no longer use and making space for new toys. 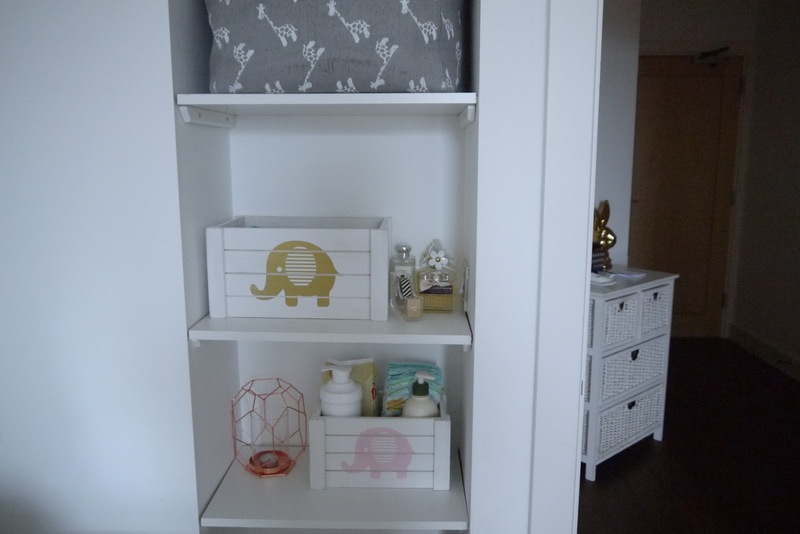 I noticed a lot of the new toys we are moving to like puzzles, play doh, sticker books, activity books were small so the best way to store them is baskets / wooden boxes. I need everything to be out of the way in other words out of reach so I can do toys rotation to keep things interesting and engaging. 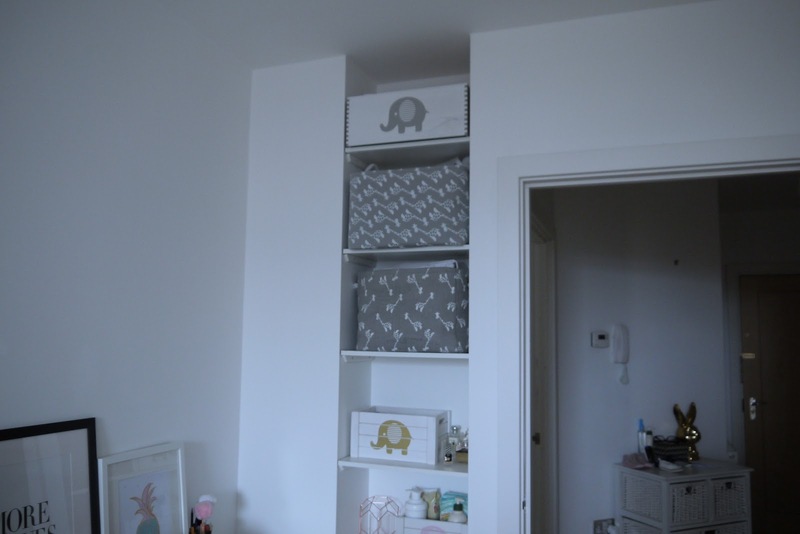 With that in mind I decided to make good use of the space we have in the little one's room and put shelves up ourselves in this little area. We measured up and popped down to B&Q , purchased a long white plank of wood and gave it to them to cut to size. We also brought a long piece of wood for the wedge either side to support the shelf, again they cut it up for us and we painted it white. All of this cost no more than £35! 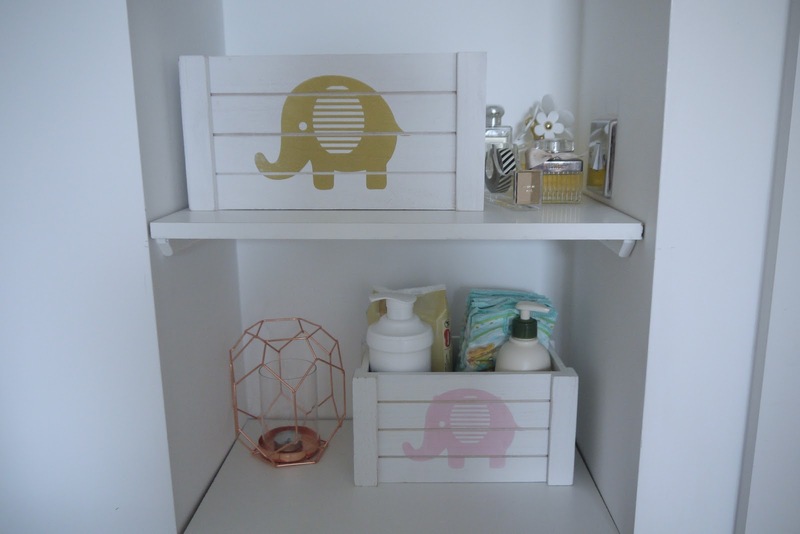 Once the shelves were on we popped down to our local *Homesense to see what toy storage they have available and managed to pick up a few lovely bits all matching with some of the existing storage I already have from Homesense from previous shops which I absolutely love! 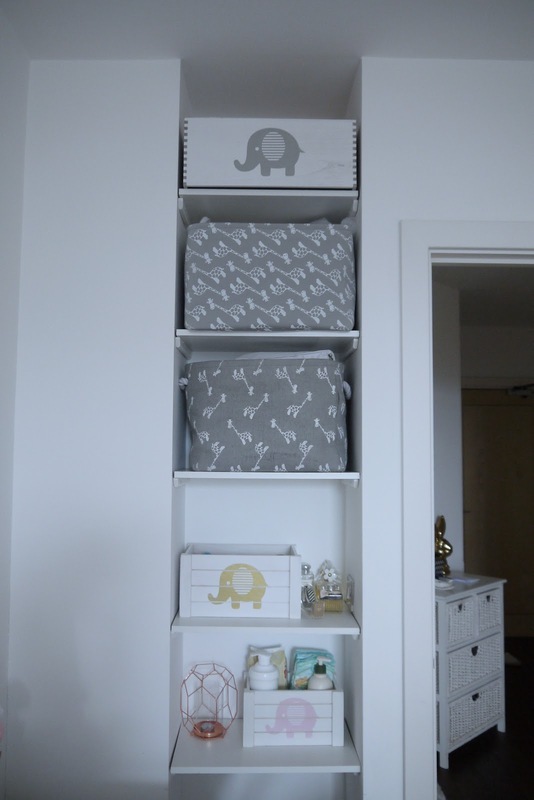 The 3 elephant boxes and the 2 grey baskets are all from Homesense, don't they look amazing with the white shelves and so matching! Very pleased with them. Kids get bored of toys easily so we don't always buy brand new, there are so many bargains online second hand. I generally get a bunch of new bits and pieces every 2-3 months and because I am buying second hand it's not expensive at all - I will share all my bargains in another post. 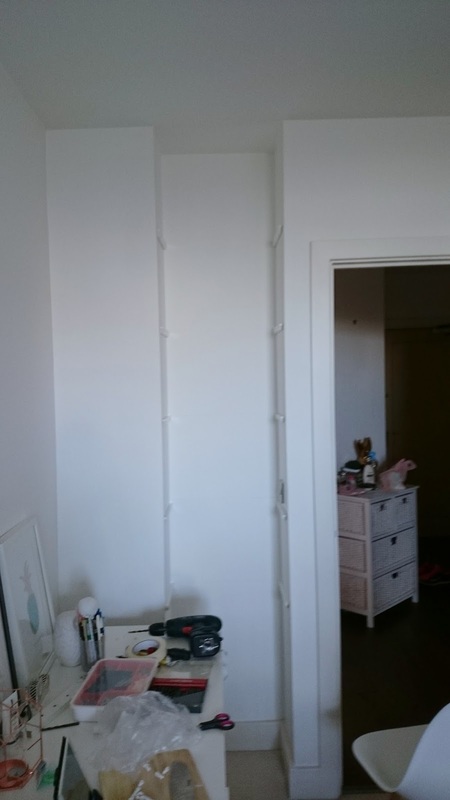 Have you got anywhere in your home where you can put up shelves to get extra storage space? 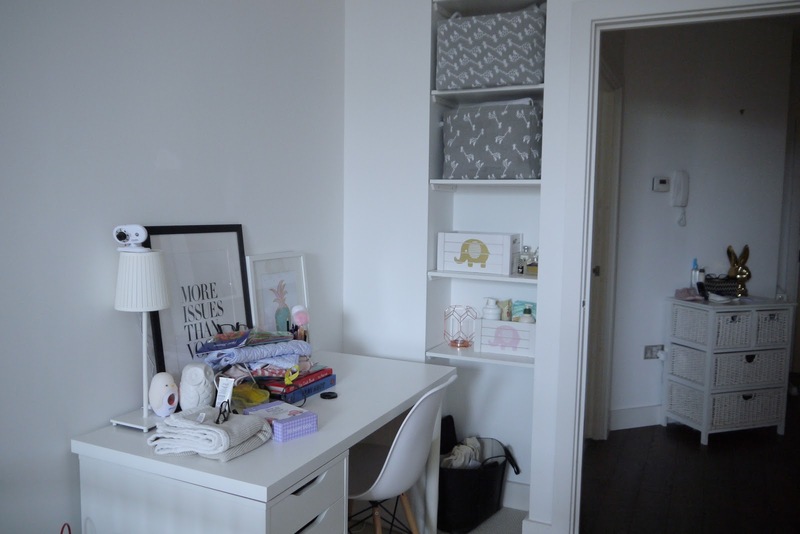 It's amazing how a few shelves in an apartment instantly gives you so much more storage! How clever of me eh!!! !